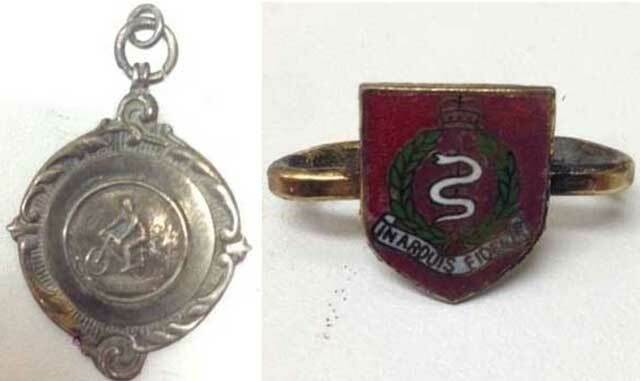 A couple who had jewellery stolen more than a decade ago have been reunited with their possessions after they were found at the bottom of a London pond. Isabelle and Stanley Larson from Oxted, Surrey, were burgled in October 2005. The Marine Policing Unit's dive team were working on an unrelated case at Slade Ponds in Greenwich when they recovered the items in a supermarket carrier bag. 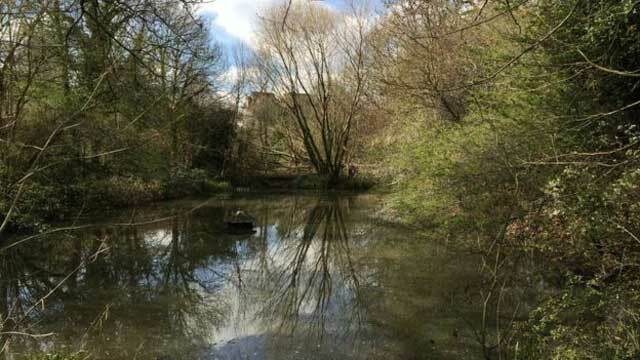 The Larsons were traced after a public appeal by the police. 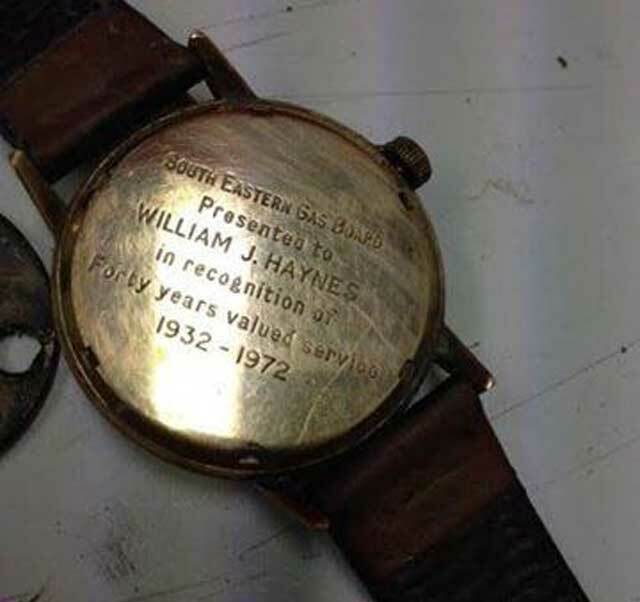 One of the items found was a watch belonging to Mrs Larson's uncle, that he was given in 1972 in recognition of 40 years' service with the South Eastern Gas Board. Mrs Larson said: "I was amazed when my daughter-in-law said she'd seen a police appeal with pictures of my father's cycling medal and uncle's watch. "I saw the pictures myself and recognised the items straight away - it's wonderful news. After all this time I had lost hope of ever seeing these items again." PC Steve Morgan, from the Met's dive team, met the couple at their home to return the jewellery. 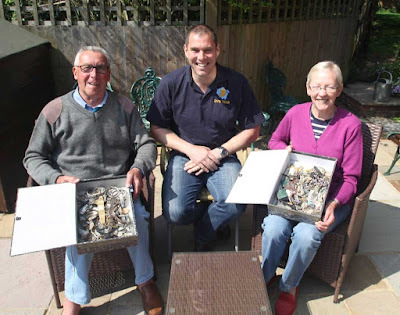 "A decade after these items were stolen it was a privilege to be able to meet the Larsons and give back these items which have such meaning to the family," he said.